I’d go as far as to say this. 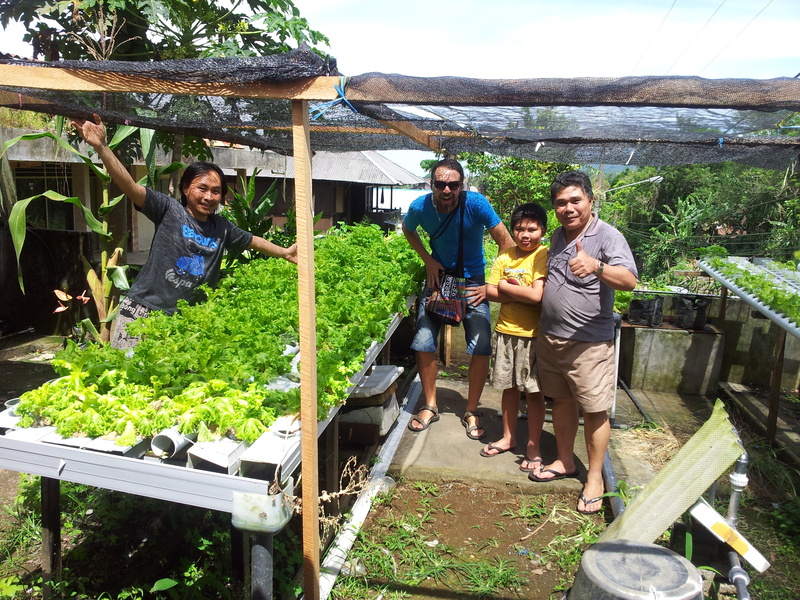 Indonesia is the best country in Asia for a vegan traveller, probably the world. There we go, I’ve said it. In black and white. Can’t take it back……Thailand is also pretty damn good too…….but Indonesia!!!! See evidence below (quick before I change me mind!) Its been a while since we were there, we left in September, but these are highly enjoyable edible memories and I just had to share them around. We had a fairly stunning 2016, packed it full of things that sparkle and shine. We’ve been so busy that the Beach House Kitchen has taken a bit of a back seat. Battling with pants internet is a thankless task, but here we are. Finally, a sound and reasonable wifi zone. 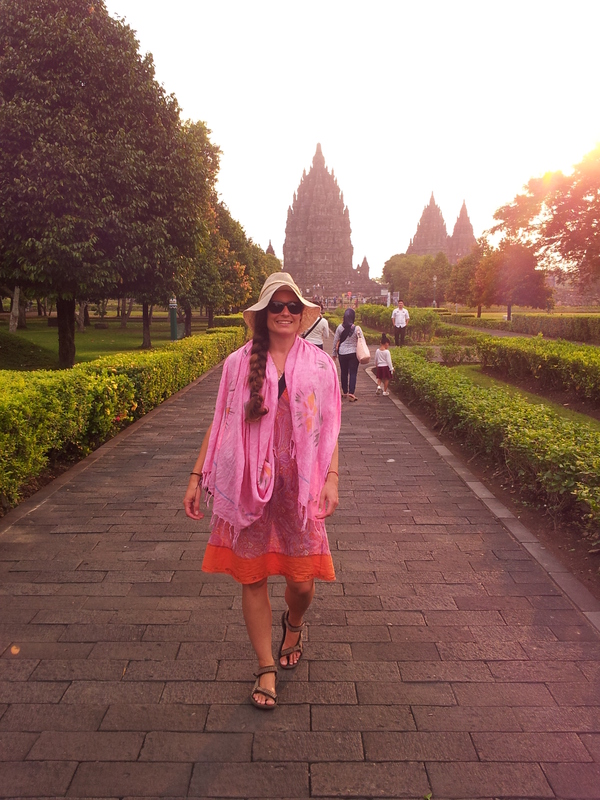 I have a long, long list of things that’d I’d love to post, so no more waffle……..first up, the wonders of Indonesia! 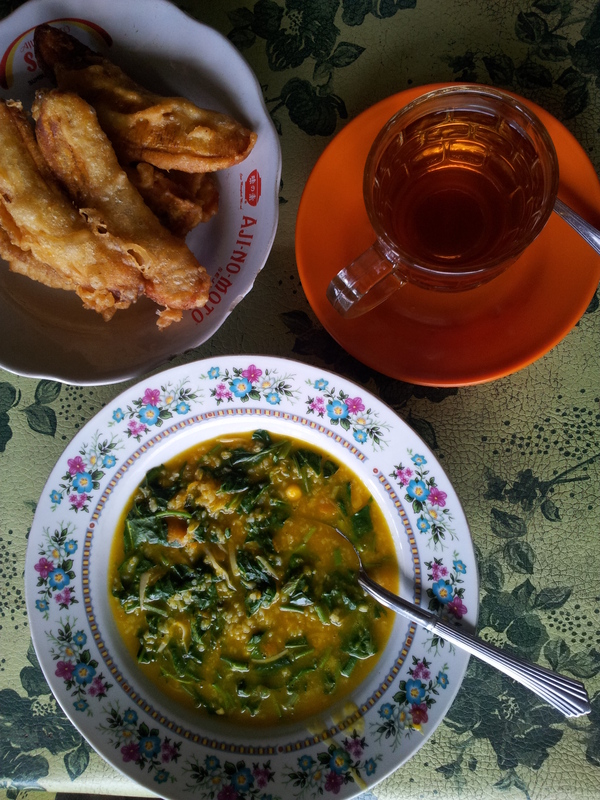 Typical Indonesian kitchen. Outside cities, everyone is cooking over wood and doing everything brilliantly old school, see pestle and mortar. Travelling is a way of life that suits us very nicely. 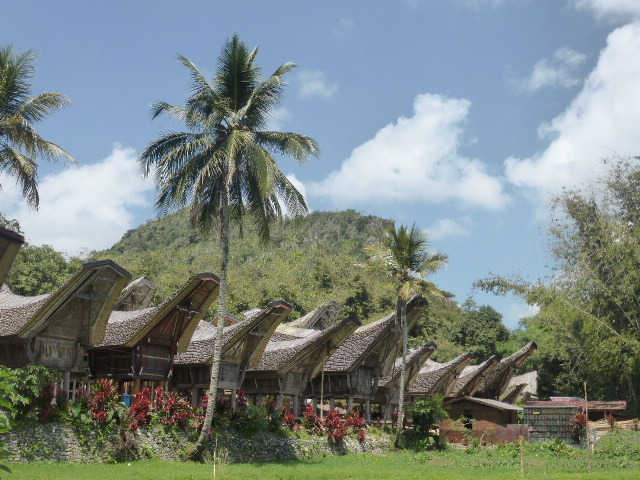 Indonesia is a land (many peices of land in fact) that we’ve always wanted to visit. We were highly undisappointed by the month we spent there. 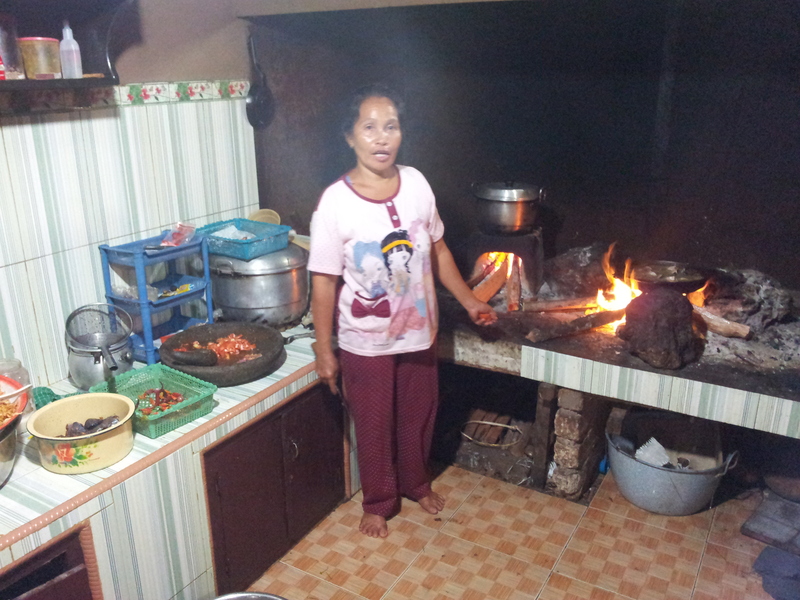 Indonesia is vast archipelago filled with some of the friendliest people and tastiest food on this beautiful planet. 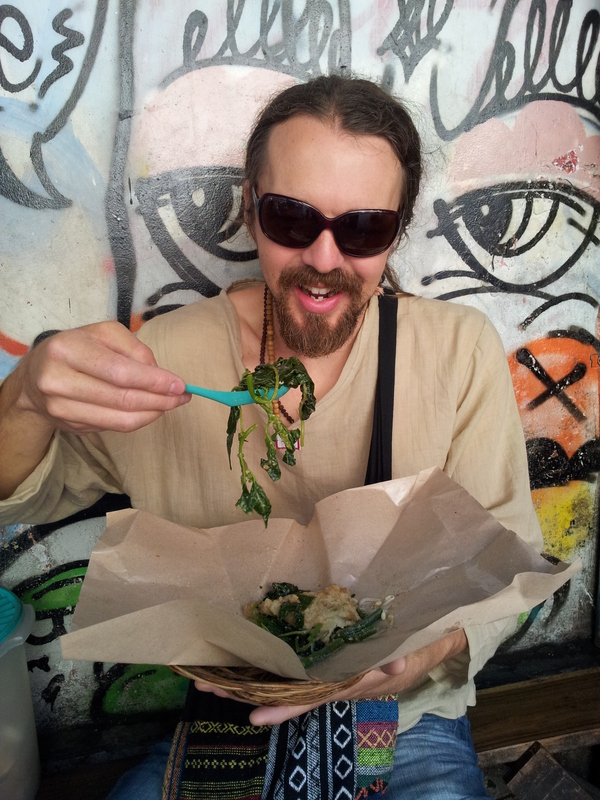 I was blown away by the sheer volume of vegan friendly fare. 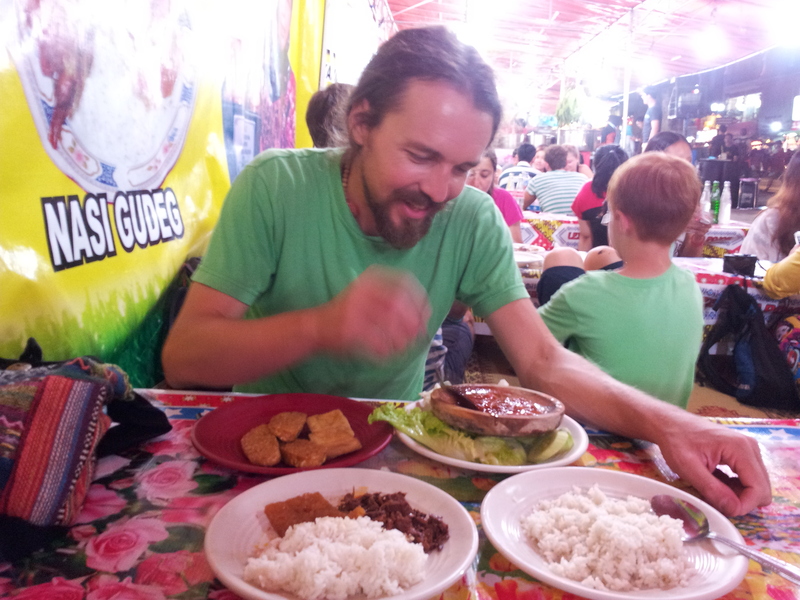 I loved the constant stream of tempeh and tofu, the buzzing and diverse street food scenes that varied from town to town. The scenery was breathtaking, we took up residence in a hut on an deserted island (with the perfect hammock), we swam with dolphins, we wandered up active volcanoes (smelling of off eggs, sulphur clouds), we threw ourselves into the mayhem of Jakarta, nearly got stuck in the jungle, stayed in traditional villages with fascinating ancient traditions, beliefs and rituals. It was a feast in more ways than one. 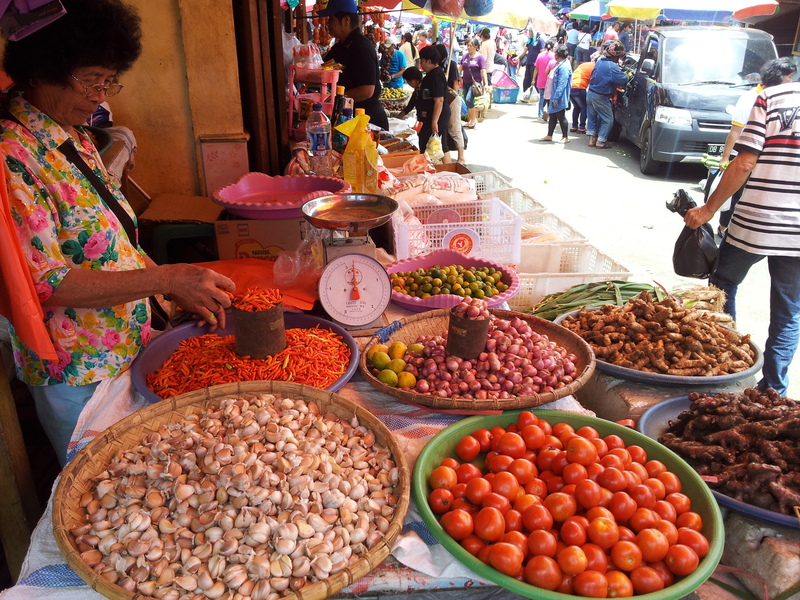 So here we are, some Indonesia sunshine and vibrancy that can’t help brighten any January morning. 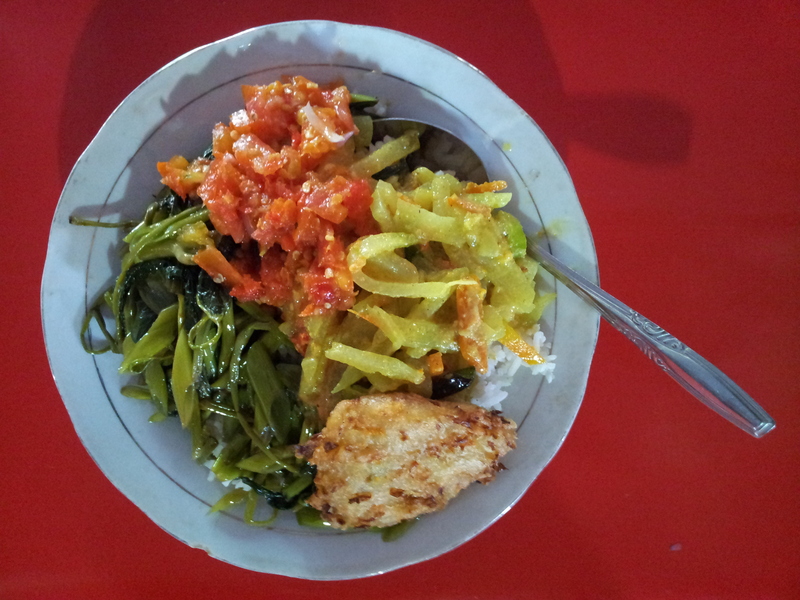 You’ve all probably heard of staples like Nasi Goreng (basically fried rice) or Mie Goreng (fried noodles) but there is so much more to Indonesian veg based (sayura) cuisine. Of course, the best food, the food that represents a country, is always found on the streets and in little, potentially shabby looking places. Fancy restaurants are all well and good, but we believe the food that matters is enjoyed by all, that’s where you’ll find us. One of the finest things we ate. 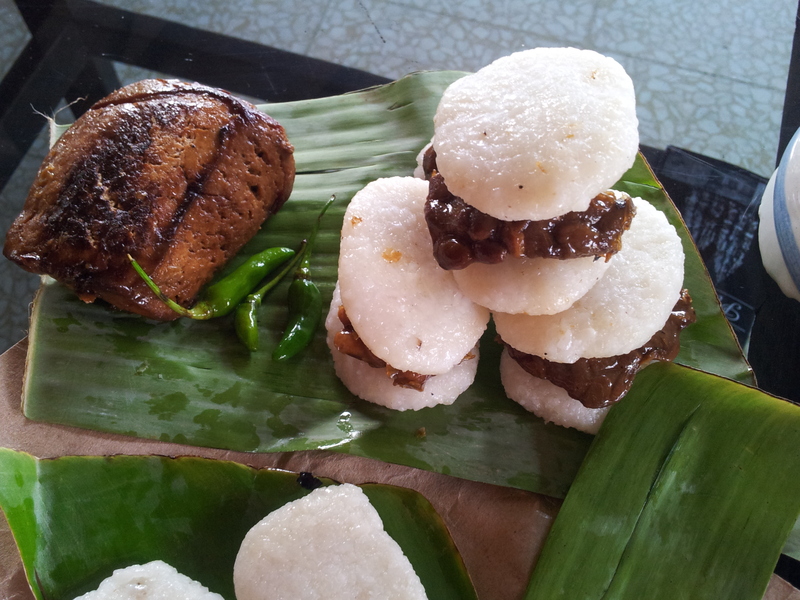 Sticky coconut rice, made into buns, and marinaded tempeh (in cane sugar and kecap manis) for the burger. 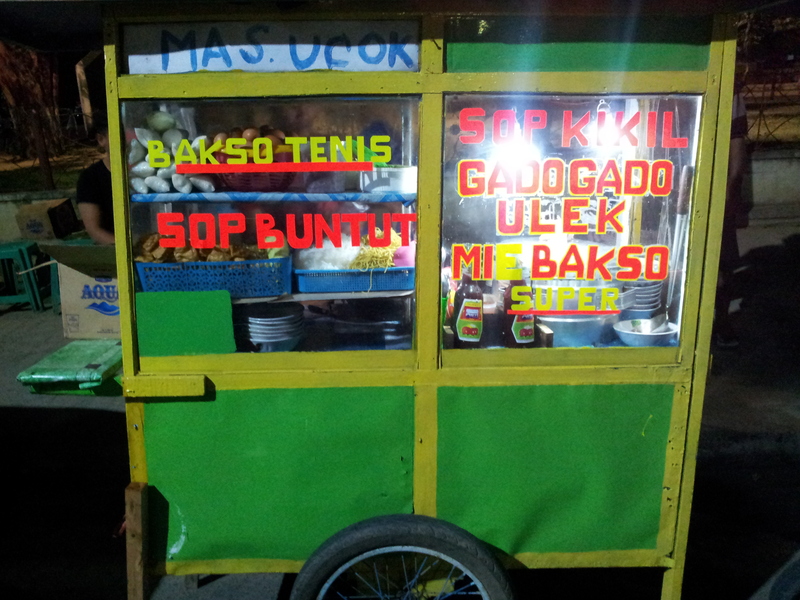 A local street food speciality in a village above Yogyakarta, Java. PS – Thats a massive hunk of marinaded smoky tofu. Delicious. Jane at a ‘cat food’ stand. 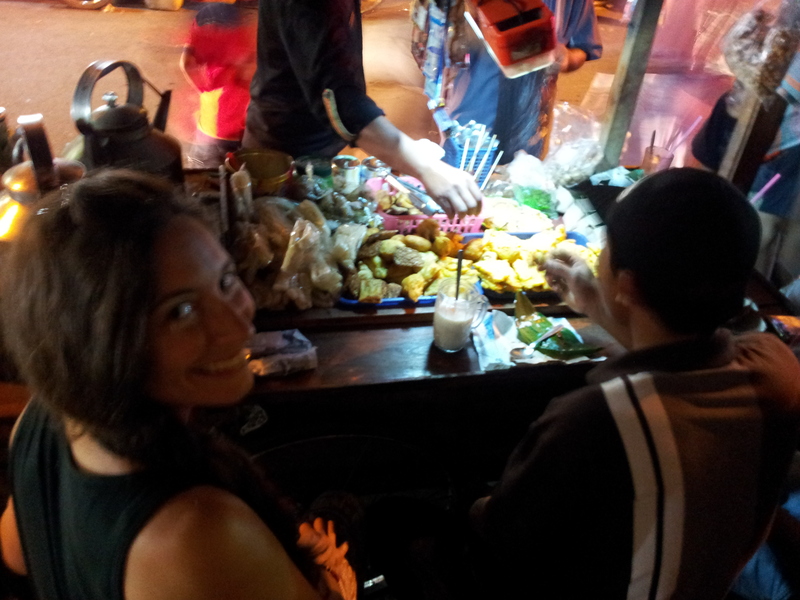 Like a cafe on wheels selling hot drinks and piles of delicious deep fried nibbles and bags of sticky rice plus sambal (spicy relish). 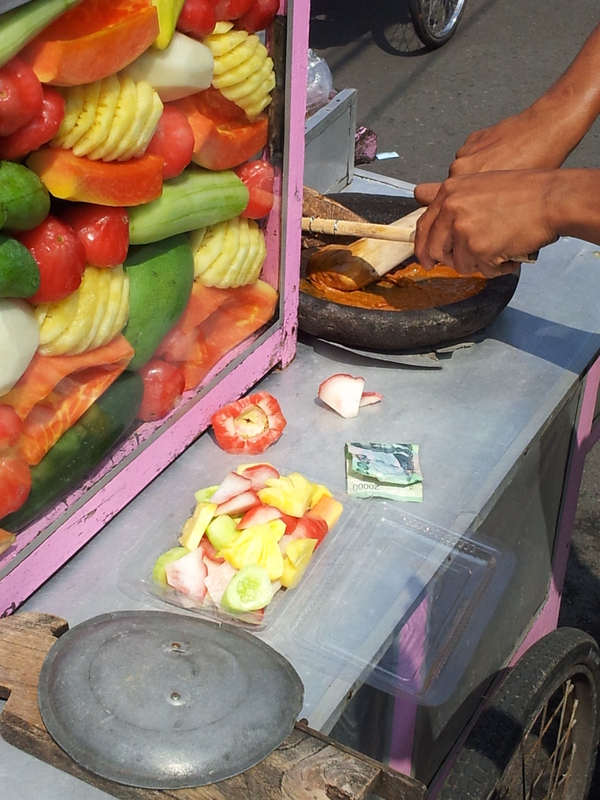 Street corner, Yogyakarta PS – No one could fully explain the ‘cat food’ thing. 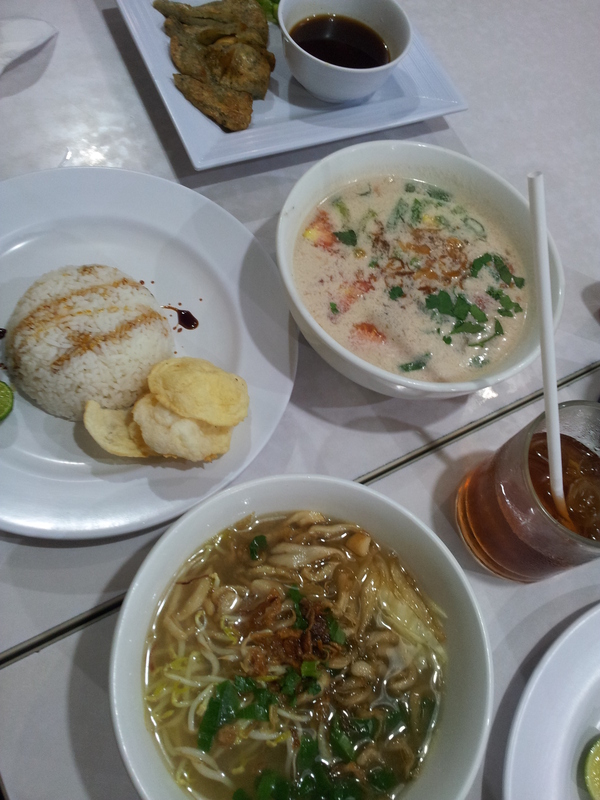 Another feast at the Loving Hut, coconut curry and some kind of heavenly ramen concoction. 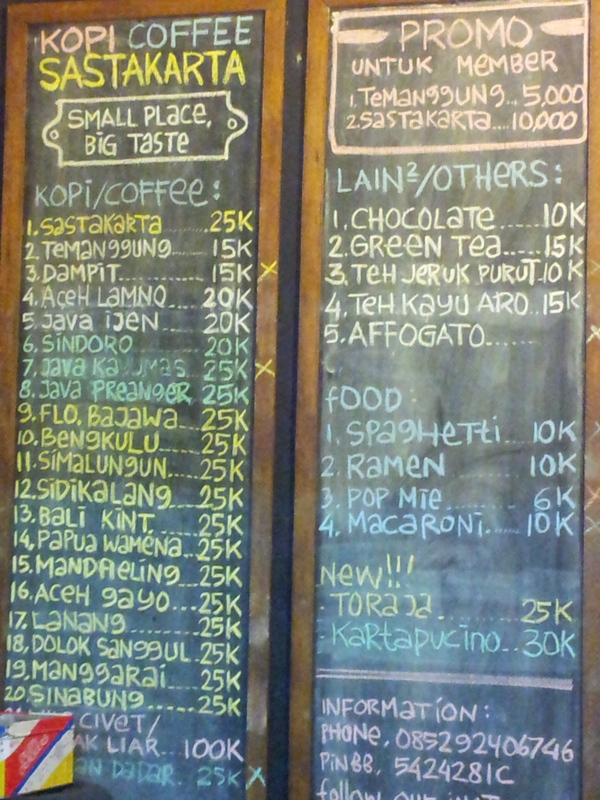 Yogyakarta (a very cultural city with a great old town and loads of galleries and musicians. They also still have a Hindu sultan). 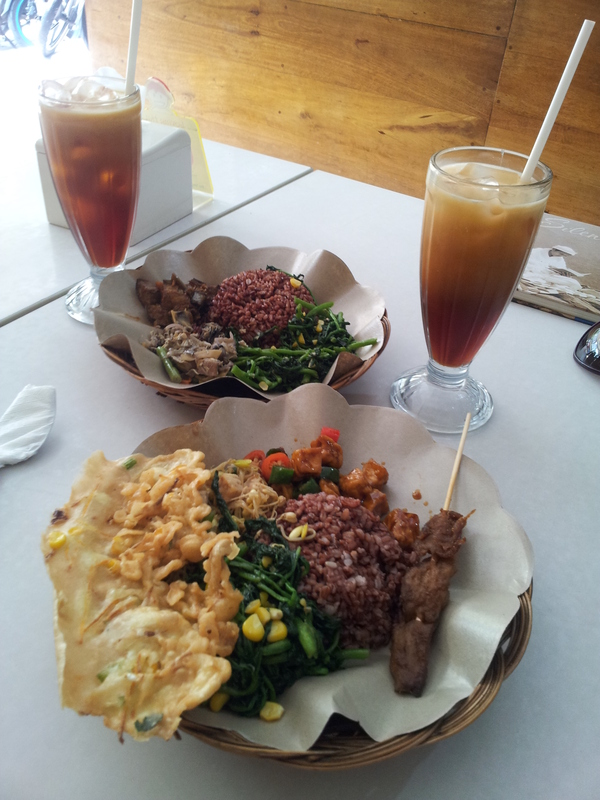 Downtown Jakarta eatery (warung). You find places like this all over Indonesia. 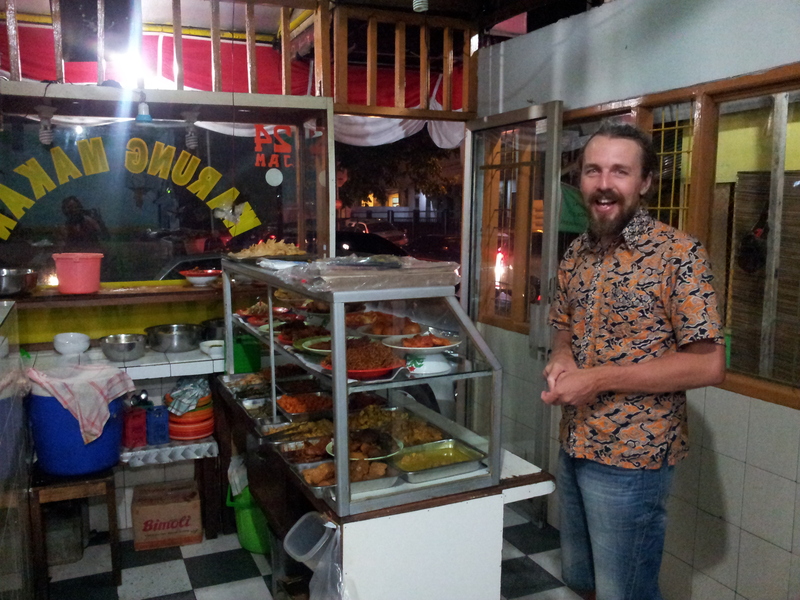 Huge range on the buffet and some very friendly taxi drivers…..
….this is what a Warung does best. Plates of cheap, fresh and delciious food. About 50ps worth here. 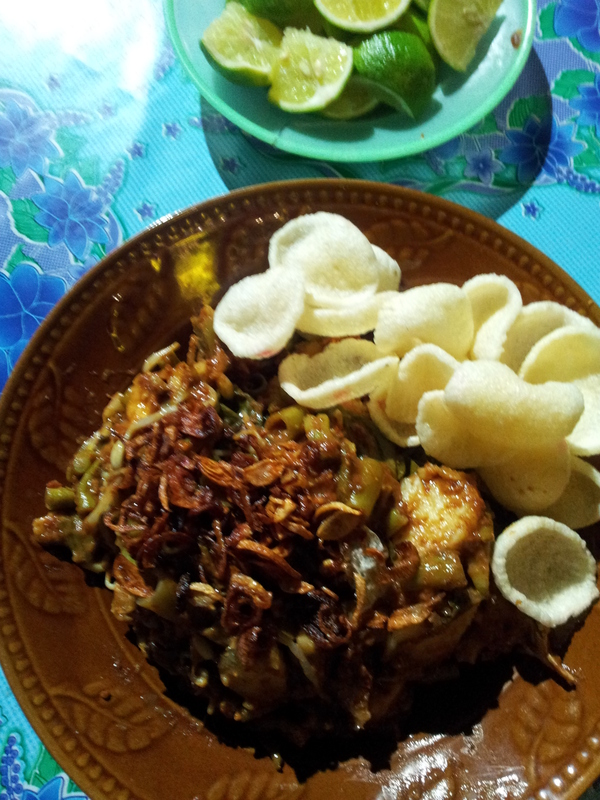 Served with Nasi Uduk, Jakarta’s favourite coconut rice. 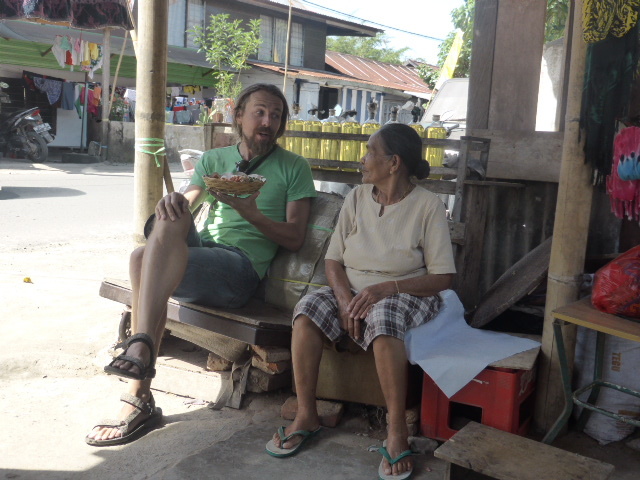 Helping the radiant Maria (twas a Christian town) with her chillies in a porridge joint. No ordinary porridge though….. Sometimes things go wrong! 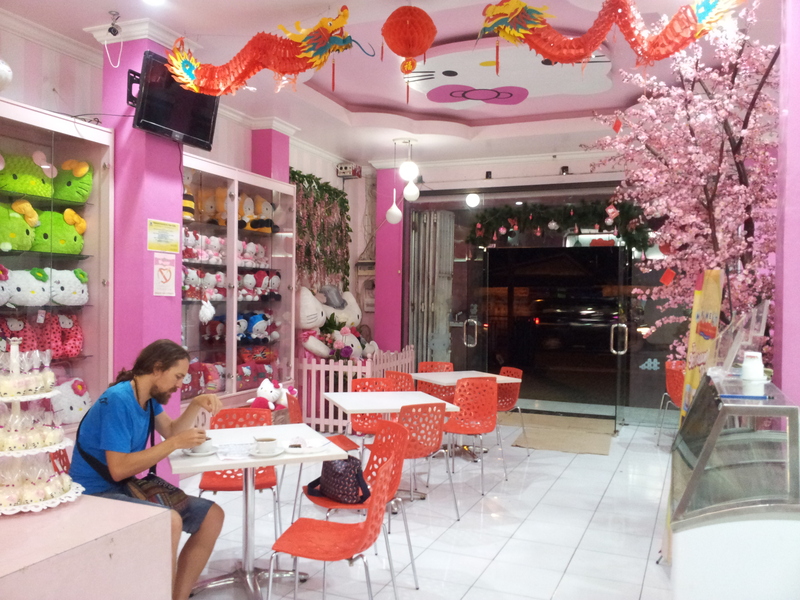 Late night, nowhere open, just the random hellish Hello Kitty cafe serving packet noodle soup. 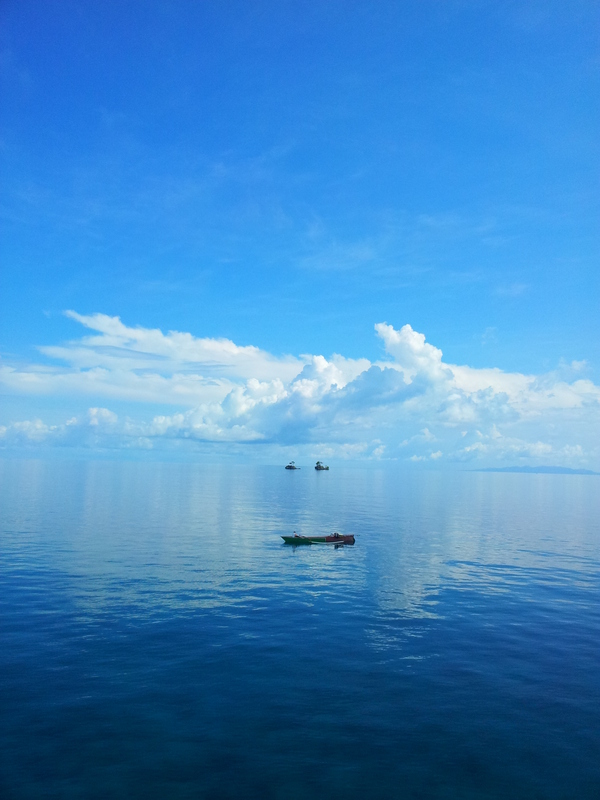 Lost in Sulawesi. 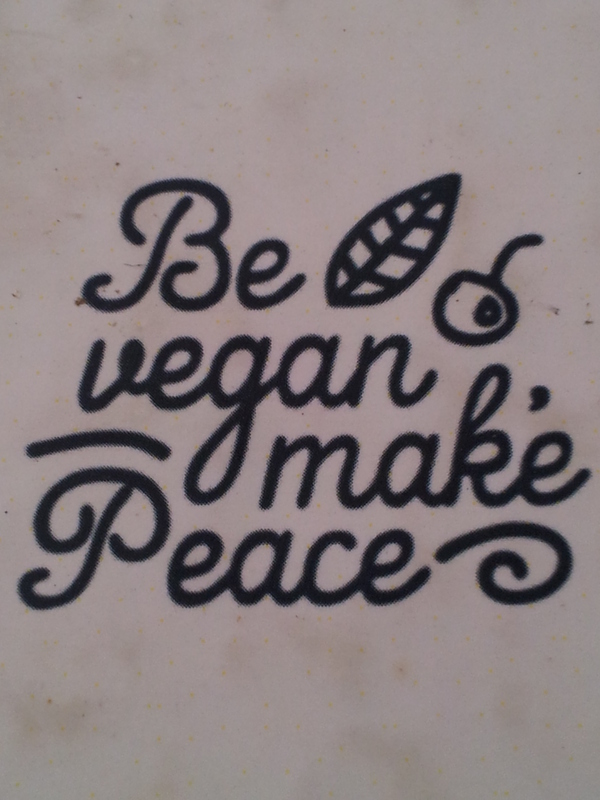 Markets are always a buzzing hub and filled with vegan delights. We carry a chopping board and bowl so salads are always on the menu. Jane and I’s preferred mode of transport. 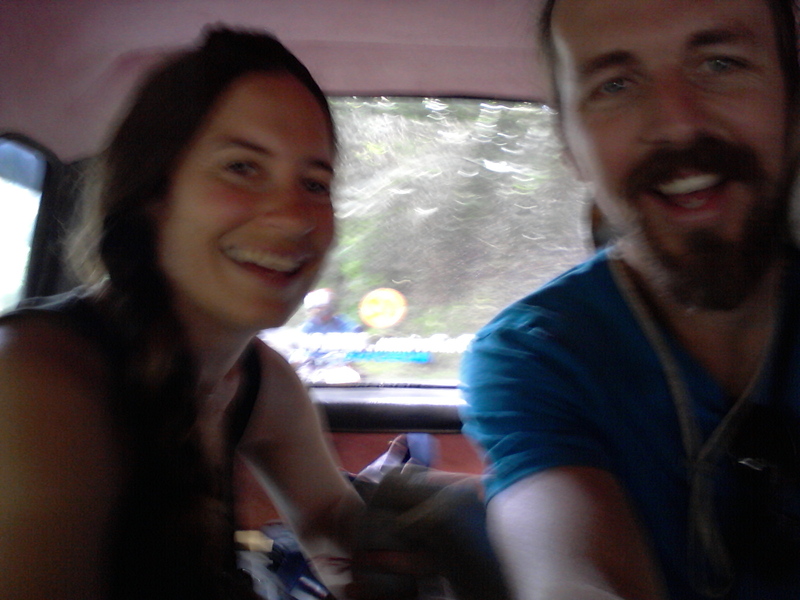 Back of rickety bus. 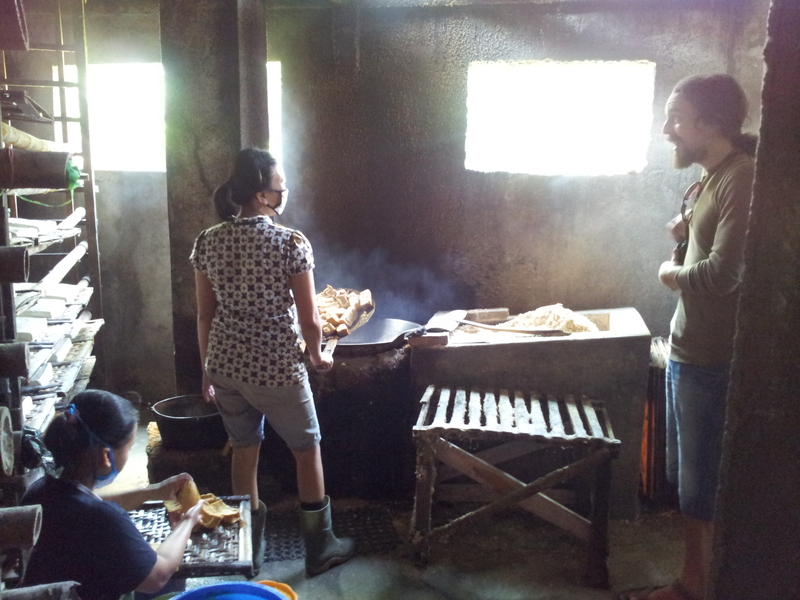 PS – We nearly forgot the Gorengan stalls at every corner. Fried sweet potato, banana, tempeh, cassava, breadfruit and loads of chilli sauce. 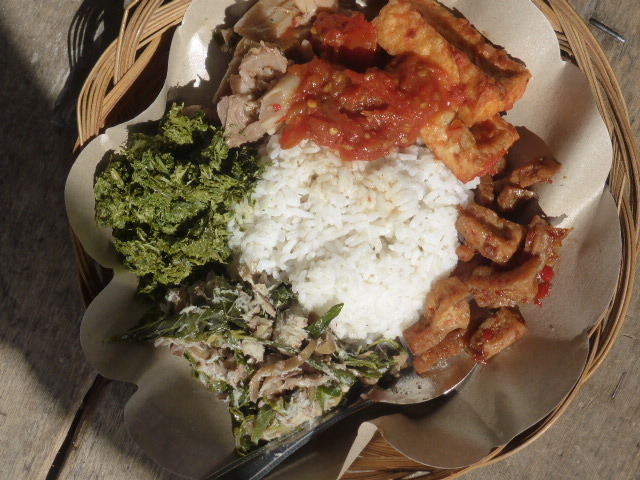 Vegans will never go hungry in Indonesia!! Also if you want to get Indonesian at home, you must seek out a bottle of Kecap Manis. A sweet and sticky sauced used on everything. I Think this whole experience was right up yours and Jane’s Street Lee.. Wonderful to see you both Happy enjoying these wonderful surroundings and eating food to your hearts content.. Loved All the pictures..
Keep those Happy Smiles Coming.. Thanks Stefan;) Indonesia is amazing!